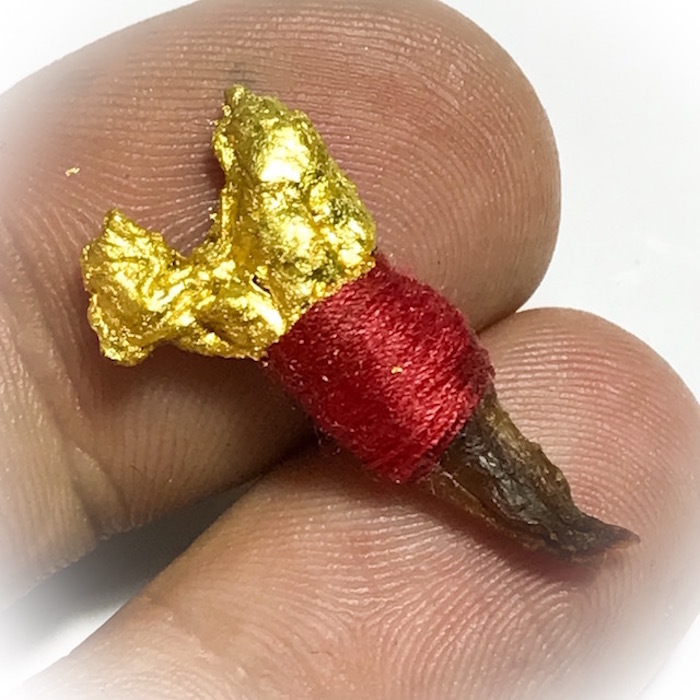 Limited Edition Khmer Wicha small size ‘Ngu Hlueam Dtaay Praay’ Sorcerous Python spurs, blessed with Pure Gold Leaf, empowered with Incantations, and spellbound with Daay Daeng Akom Red Sorceror’s threads. A powerful Gambling and Wealth Amulet, using Ancient Khmer Necromantic Sorcery methods, by Thai-Khmer Border-Crossing Monk, Luang Phu Waen Gaay Pantasaro, of Wat Ampin (Kampuchea), and Wat Yeuy Prasat (Buriram Thailand). 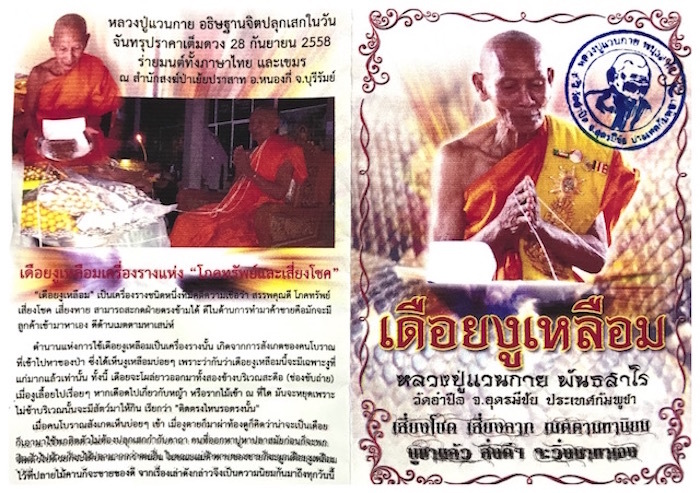 The amulets were Blessed at Wat Pha Yeuy Prasat in Buriram, during The night of the full lunar eclipse (Rahu Om Jantr night) where the eclipse God swallows the moon entirely, on the 27th – 28th September 2558 BE. Luang Phu Waen Gaay performed a large number of incantations in Thai, Pali, and in Khmer. The Python is renowned for the ability to maintain itself alive over long periods of time through maintaining an enduring survival through its high ratio of energy conversion in comparison to its metabolic consumption. This means that a Python can survive for months on one meal. The Python can avoid travelling around large distances, by merely lying in wait for prey to pass within its reach, and then launch its attack with one single leap, and entwine itself around the prey, making it impossible for that which enters its clutches, to escape ever again. This represents the Maha Pokasap and ‘Maha Ud’ (‘Ud Sap’, means to seal belongings within a container) Power of retention, insinuating that any wealth or resources which enter into the possession of its owner, will be retained in one’s possession, and never be lost or released again. The Python also has powerful Maha Sanaeh Magic and does not need to go out of its way to attract its Mate. The femaile python will come along on its own volition for mating, and this is also a powerful magic to attract sexual encounters with ease and no efforts on behalf of the wearer. The musk of the Python has a very strong attractive power to attract the Merciful Metta of those who pass by, who do not notice its predatory nature, due to its physical and pheromonic camouflage, and unobtrusive manner of going around its business. The Python Spur, or, ‘Dueay Ngu Hlueam’ is perhaps one of the most highly favored Mercy Charms of Professional Gamblers, Bankers, and those who like to gather and hoarde their resources, as well as those who already have wealth, and wish to retain it, or prevent it from flowing away back into the system. 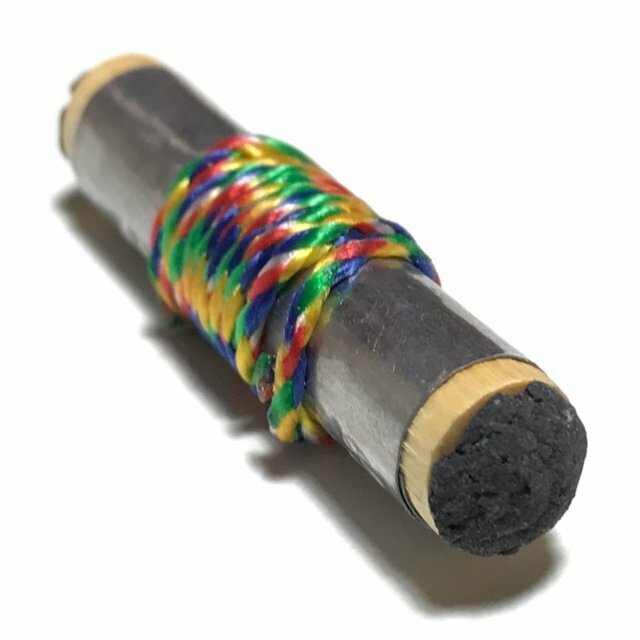 This Animist amulet is a form of High Necromancy, which invokes Metta Mahaniyom and Maha Pokasap Magickal influence from the Python’s ability to sit in wait for its prey, without the need to move around or perform overly tiresome quests to entrap its victims. 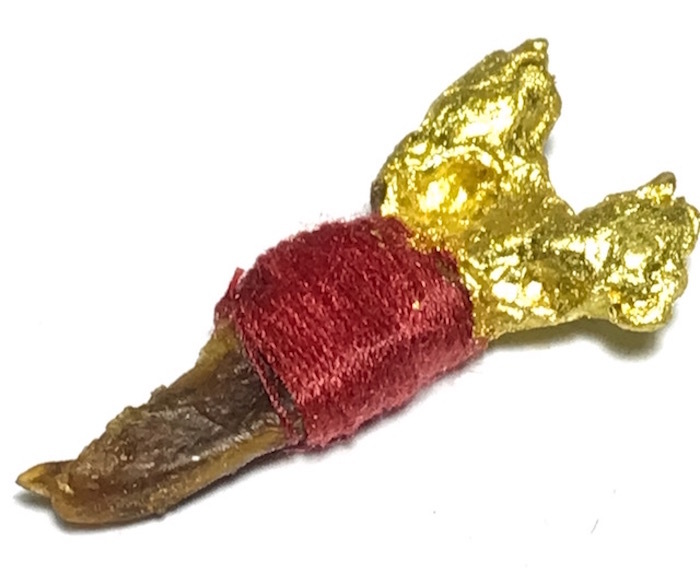 The Dueay Ngu Hlueam Python Spur is said to be a naturally sorcerous item which possesses powerful Maha Pokasap and Metta magic even without empowerment from a Sorceror. Boa or Python spurs also offer Powerful Anti Black Magick Protection, with Demon-Slayer Powers, and Maha Amnaj Magic for Exerting Command and Influence. The Dueay Ngu Hlueam are inbued with the 4 Heart Syllables of the Kata Riak Taat See (Invocation of 4 Elements), The subsequent Summoning, Awakening and Turning of the Four Elements was performed to Reanimate the spirit, and invoke Living Magic within a material object, according to the Ancient Grimoires and Magical Formulas of Ancient Khmer Wicha. The full formula of Invocations for the Kata Akarn Sam Sip Sorng were performed for reanimation of a spirit within the python spurs, and bound with Incantations to dwell within and emanate powers. 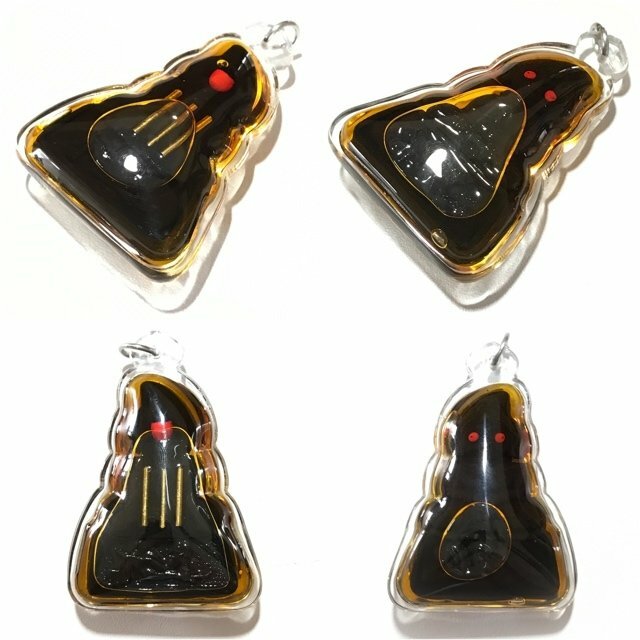 This is an essential part of Necromantic Empowerment with all Humanoid and Animal form amulets which are imbued with mind and spirit. Luang Phu Waen Gaay is a Kampuchean Monk of high repute for his adepthood in Khmer Sorcery, and is highly revered on both Khmer and Thai sides of the border, as a powerful Magic Maker. 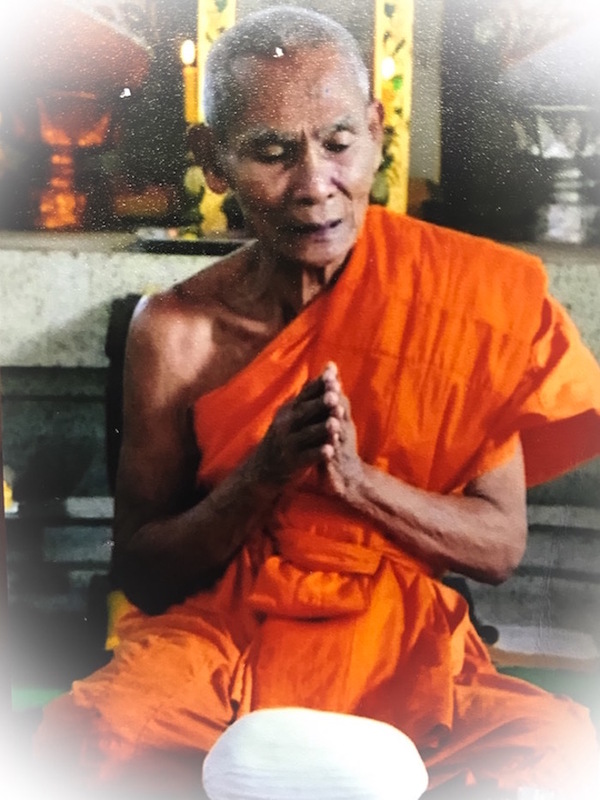 Luang Phu Waen Gaay is an aged Monk, who has spent many years on Tudong Forest wandering through the regions bordering between Kampuchea and Thailand, and has amassed a large compendium of ancient Wicha of both Thai and Khmer Sorcery Traditions, from both Ordained and Lay Sorcerors. He possesses Enviable Adepthood in the Khmer Necromantic Sorcery Wicha. His powers and Magical Prowess is highly regarded by his peers in Thailand for his roots in Khmer Sorcery Lineage Wicha. 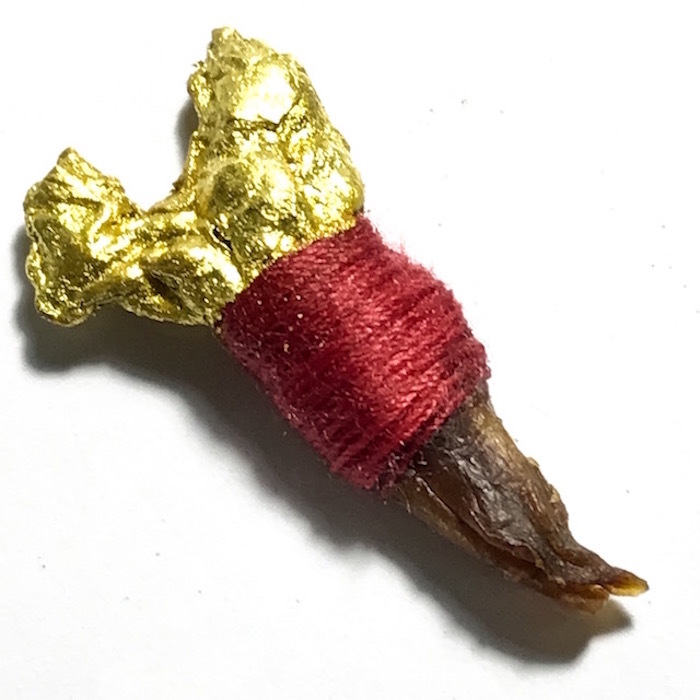 Few Guru Masters possess direct Initiation in Kampuchea, into the Dark and White Arts of Ancient Khmer Sorcery, and this has made Luang Phu Waen Gaay’s Talismanic Amulets extremely sought after. 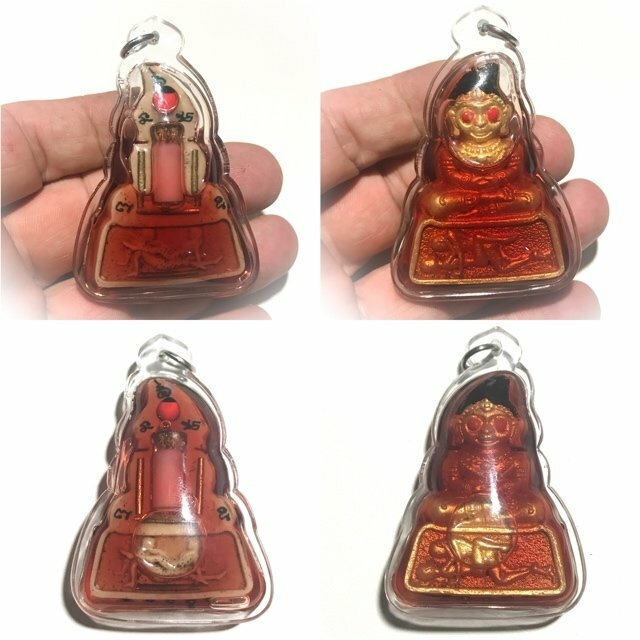 Few Guru Masters possess direct Initiation in Kampuchea, into the Dark and White Arts of Ancient Khmer Sorcery, and this has made Luang Phu Waen Gaay’s Talismanic Amulets extremely sought after. 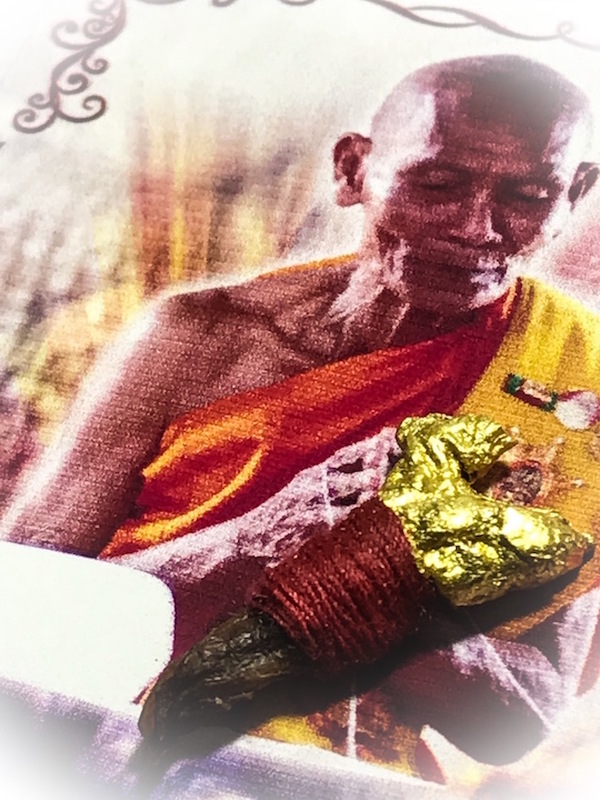 During the Taewa Pisek (Deva Abhiseka) blessing, Luang Phu performed Incantations using both Khmer, and Thai Sorcery Empowerments, and meditated over them to imbue his psychic powers through the sincana cords and into the amulets. Becase this amulet was blessed in wk to Pra Rahu, you can invoke Rahu Asura Deva to improve your Horoscope and increase your chances of lucky streaks, along with the spirit of the Ngu Hlueam Dtaay Prai and Khmer Naga Kings Invocations to command the Ruling Devas and Denizens of the Gambling Dens to throw Luck in your Favour. Luang Phu Waen Gaay released this edition after he had collected over 100 python spurs in Kampuchea, which the local forest dwellers and jungle trackers would bring to him when they found a python which had died under the right circumstances for Prai Necromancy. Because the python spurs are invisible to the naked eye in a living python, these pincer-like organs are believed to be able to pinbch and grab treasures and hold them tight, and not let them go, and also, the fact that the pincers close in towards each other represents the attract between people, for Maha Sanaeh. 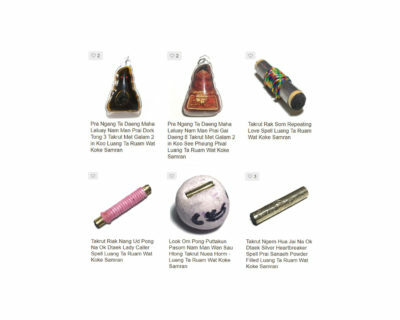 You can use the Kata Pawana (Kata to practice manifestation of your requirements through visualisation magic), which was given by Ajarn Spencer for using with Dueay Ngu Hlueam Amulets. Na Arahang Putto Mae Metta Maha Metta Pawandtu Mae – Na Putto Arahang Tammo Trini Singhae Sangka Raksa Tamma Raksaa Putta Raksaa Na Mo Puttaaya Aehi Pokang Bpiyang Ma Ma Na Tana Pokang Aehi Jidtang Maha Metta Maha Tanaa Sap Na Metta Mo Garuna Put Bpranee Ta Yin Dee Ya Aen Du Iswasu – Suswaa-I Aehi Jidtang Bpiyang Ma-Ma Maa Nee Maa Maa Na Arahang Putto Putta Raksaa Tamma Raksaa Sangka Raksaa Taewa Raksaa. (Close Your Eyes and Picture a treasure Pile of Wealth and Resources, and a never ending stream of wonderful possessions and auspicuous blessings flowing to you).